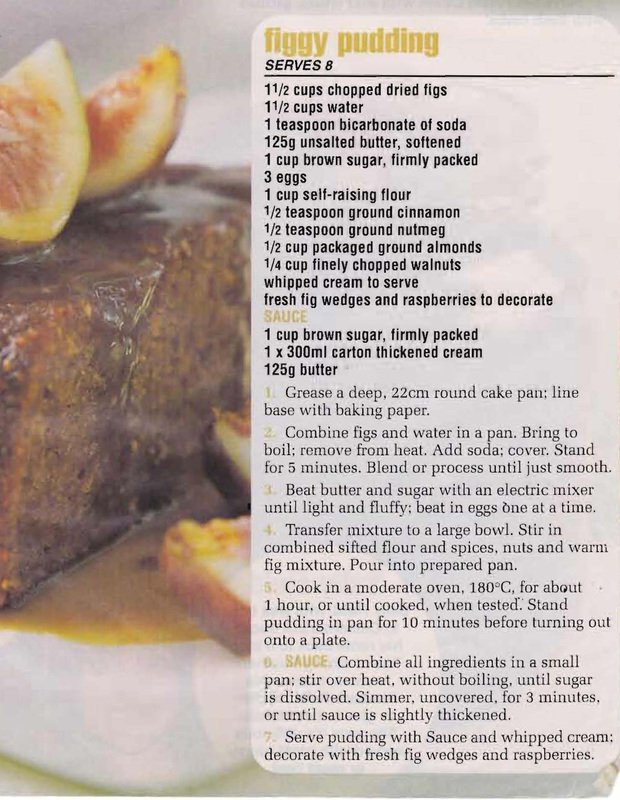 This recipe could be renamed Sticky Fig Pudding as it’s just a take on a Sticky Date Pudding. It uses dried figs instead of dried dates and looks delicious. This entry was posted in All Recipes, Desserts and tagged 2000s, brown sugar, cinnamon, dried figs, Figgy Pudding, ground almonds, nutmeg, sticky fig pudding, walnuts by bebsrecipes. Bookmark the permalink.